It's hard to believe that Fall is fast approaching and that Halloween is "creeping" up on us! 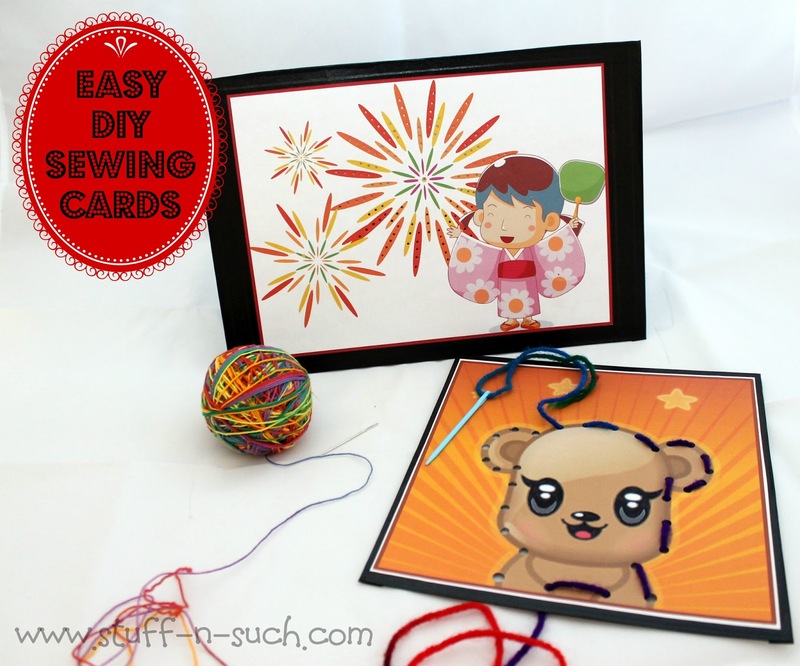 Of course what would the Holiday be without a little "Craft Lightning"??!! 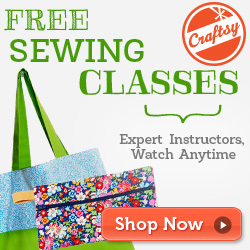 This awesome series has been hosted for a few years now by Angie at Country Chic Cottage and Carolina from 30 minute Crafts and it is always so much fun! 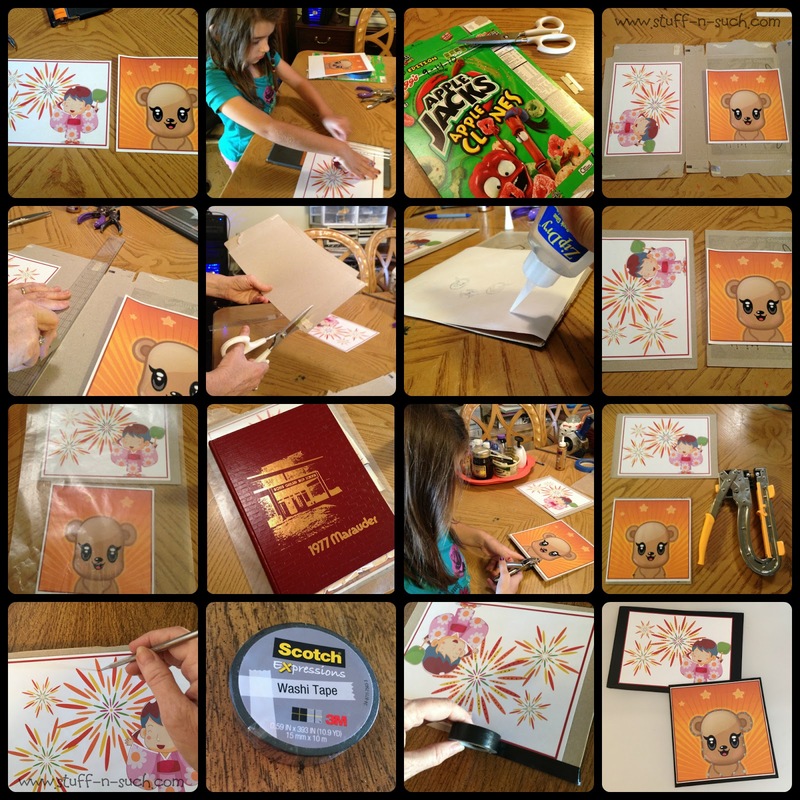 This edition is highlighting Halloween and is co-hosted by: Jen Goode from the blog "100 Directions". I have been collecting bottle caps for awhile, just imagining all the crafty possibilities they hold...so I decided it was time to try and use some of them up before Hubby asks that inevitable question..."What are you going to do with those?" 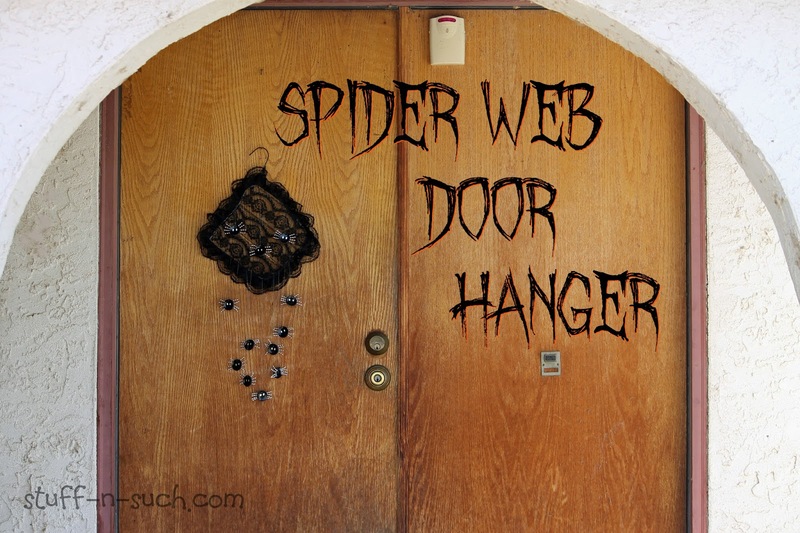 At first I wanted to make a Halloween-themed wind chime, but soon discovered that in order to make these babies "chime" I would need a ton of them and couldn't possibly get it done in 15 minutes or less, so I moved on to a simpler solution: a Door Hanger! The most obvious thing I could think of that resembled the shape of the bottle caps was of course a pumpkin or a spider and I settled on spiders and a spider web! This project was so easy to make and really the only time consuming part was taking the rubber seals out of the bottle caps. For this reason, I recommend you purchase the regular metal bottle caps that are made specifically for crafts, that don't include that seal. If you aren't in a hurry though and you don't mind the tedious task of removing them, then by all means go ahead and recycle/upcycle! Be sure to check-out all of the other Halloween Goodies in this series by clicking on the info-graphic below! 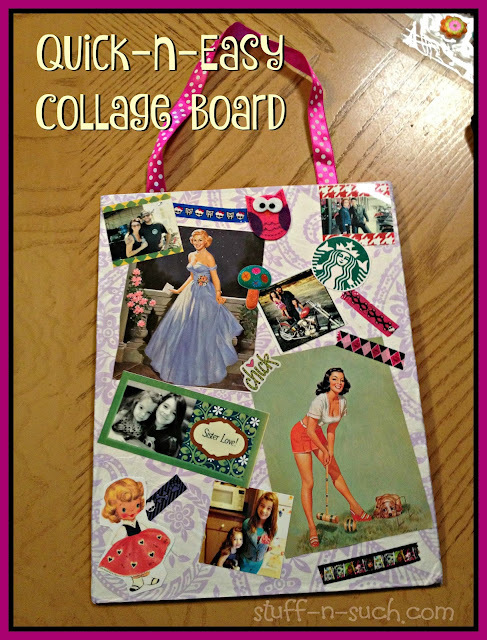 Thank-you for visiting my blog today, hope you found some fun and inspiration and will visit again soon! 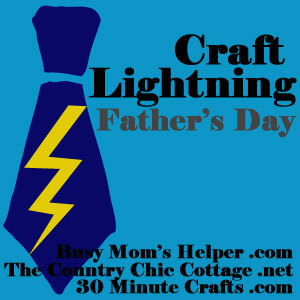 Time for another round of Craft Lightning and this one is a first...a Father's Day theme! I really had to wrack my brain for this one...I am NEVER good at gifts for men or even boys for that matter! I guess I just typically like the "girly" stuff...but fortunately while cleaning out some storage areas on our property, I came across this old crusty tool box (carrier) that hubby was going to throw out because apparently it had outlived it's usefulness...to him anyway! 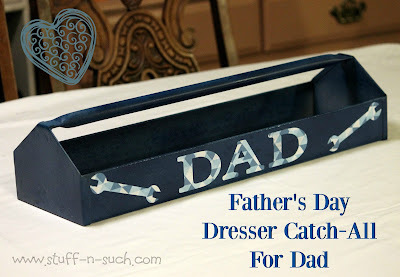 I knew that I had this Craft Lightning post coming up and I thought surely I could think of something to make from this for Father's Day...and It finally came to me...a "catchall" box for that special "Dad" in you or your children's lives. I don't know about the guys in your life, but I know my son's and my hubby in particular are not super concerned about where stuff goes when they are tired after a long day at work! This catch-all will help keep them organized and not lose those important items they need for the next day or in the near future. Perfect place for a wallet, work ID badge, watch, spare change, neck ties, fitbit, and a wedding ring or other jewelry for those guys who can't wear them at their jobs! 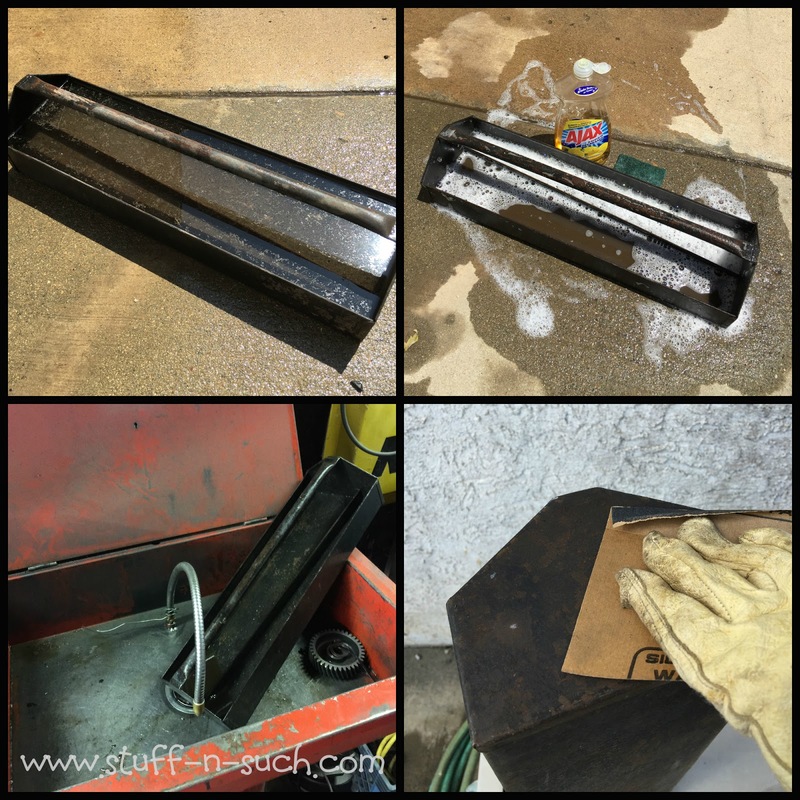 Really the hardest part of this project was getting the old, rusty, grubby tool carrier clean! I'll have to admit that it took a lot longer than 15 minutes to do that part alone, but of course you don't have to start with something in such bad shape...you can always use a nice wooden box purchased from your local craft store and skip the cleaning step! 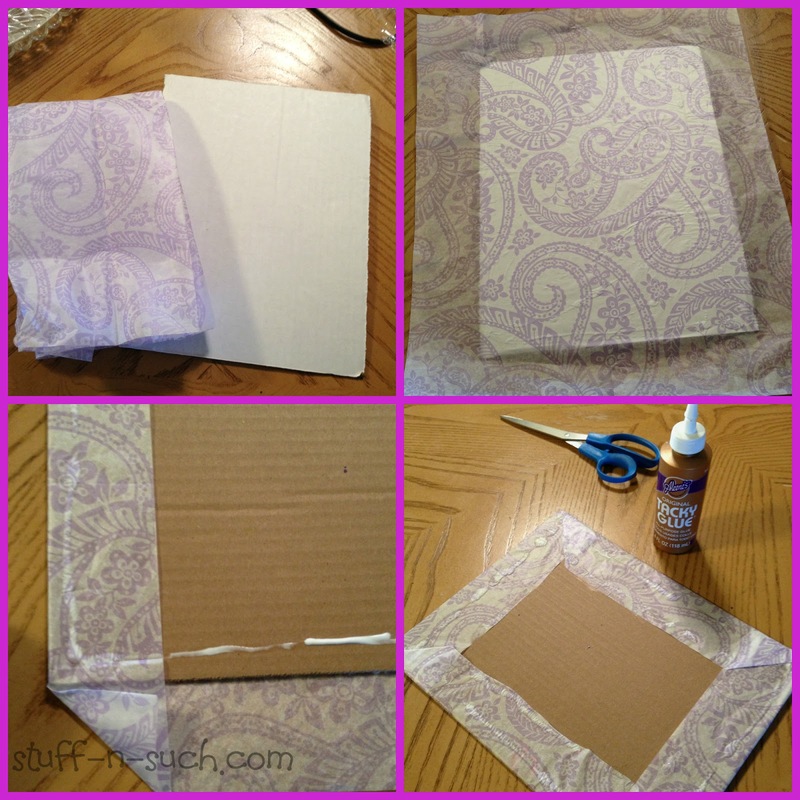 I just like to re-purpose old stuff that is headed for the landfill...if I can think of a way to make it useful. I tried to only use tools and supplies that I had on hand for this project and this time that almost caused a big craft "fail", because the spray paint I used was some paint that had been in hubby's garage stash for quite awhile and I didn't realize that older spray paints can lose their air pressure after awhile and cause spotting. If you look closely, you can see this is what happened to my project and I started to panic, because I didn't have a lot of time to start over...but after spraying the rest of the project I started actually liking the mottled/splotched look of the paint...it made it kind of gritty looking...more like it was suited for a man, so I left it be and hoped for the best. Thanks so much for stopping by my blog and I hope you liked my Father's Day upcycled project! Be sure to click on the graphic below and see all of the other great projects brought to you by other creative bloggers. 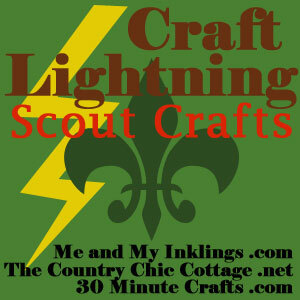 Many thanks to the hosts of Craft Lightning also: Angie from the Country Chic Cottage, Carolina from 30 minute Crafts and Danielle from Busy Mom's Helper.